That’s the best thing I have seen all day. I needed that laugh! If only we could sit him in the sun…and have him melt away. This analogy seems accurate, except that nobody has yet been able to lick him. I’m crossing my fingers that that happens soon. Hope you’re well! I haven’t been around here much, but I do miss you! Thanks, I hope you’re doing well too. I haven’t been around much, either. I’ve had a lot of stuff to do, and not much time to do them. Take care. Hee hee. Love the comparison. …and it’s bad for your health. VERY bad for one’s health! Sorry Deb. But you can still eat them. Start with the head. It is still OK to eat a Creamsickle, which I love, too. Just bite down HARD! And be sure to decapitate it. Oh, nooo. 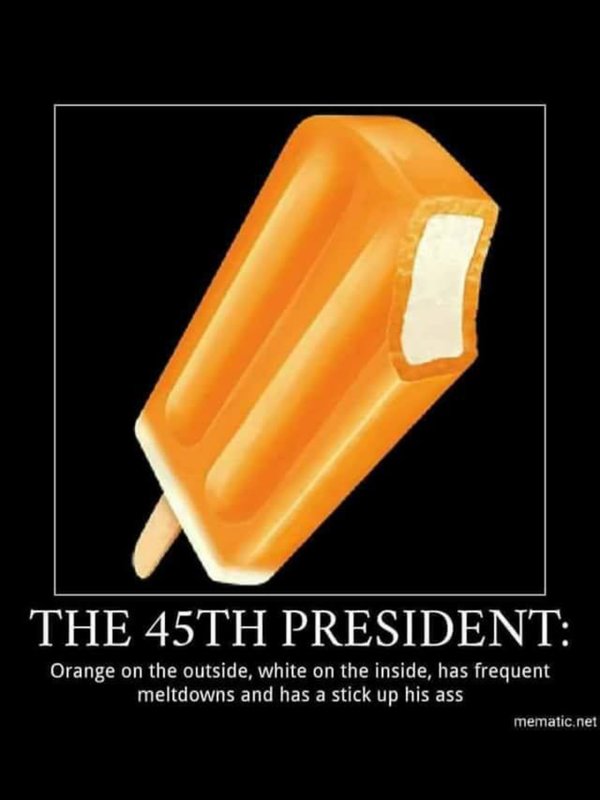 Not the Creamsicle. It was once a favorite.